As is the case with all produce, fresh-picked homegrown peppers have more flavor, color and nutritional value than their commercially grown counterparts at the supermarket. If you are new to growing hot peppers, look for the Scoville heating units that are listed for each variety. The higher the number, the hotter the pepper. Every chef should have at least a few varieties of hot pepper plants in the garden or potted on the patio. 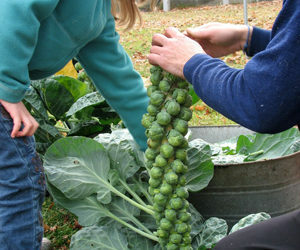 They're easy to grow, add a ton of flavor to foods, and are amazingly versatile in the kitchen. From the hottest varieties, like Ghost, to the milder Anaheim, there are countless reasons to grow these flavorful fruits. Most hot peppers can be added to recipes raw, roasted, sautÃ©ed, steamed, or baked, and they can be preserved in many ways. Drying hot peppers causes some of their flavors and heat to be lost but allows the gardener to enjoy the fruits of the harvest for up to a year after ripe peppers are picked. The best varieties of hot pepper to dry are the thin-skinned ones with the lowest moisture content. They can be sun-dried, roasted, or quick-dried in a food dehydrator. Once they're dry, crush the flesh into flakes or powder, and store in a cool, dark place in an airtight container. Peppers can also be frozen whole or diced, and straight off the plant, or blanched first. The meatier, thicker-fleshed varieties will freeze better and retain a nicer texture when thawed. Some peppers ripen all at once, while others generate new fruits throughout the summer. For the chef who wants fresh-picked heat for each meal's preparation, choose a type that will keep producing ripening peppers. For preserving peppers by pickling, canning, or using salsas and hot sauces, choose a variety that ripens all at once. Peppers are a cinch to harvest. They snap right off the stem of the plant when they're ripe, and they don't have spines or thorns, so gloves aren't needed to pick them. However, it is recommended that chefs wear latex kitchen gloves when preparing spicy peppers to add to dishes, to avoid getting the hot capsaicin oil on hands and then accidentally touching the face. Hot peppers will burn sensitive skin and eyes, and the sting is excruciating. It's easiest to gauge the heat of your finished dish if you remove the innards and cook with only the green, red or orange fleshy part of the fruit. Peppers are ripe and ready for picking as soon as they reach their full length, as suggested in their growing instructions. Their ripe color can vary. For example, jalapeÃ±os can be light or deep green, purple or red at maturity, although most purists prefer their flavor when they're firm, shiny and deep green.